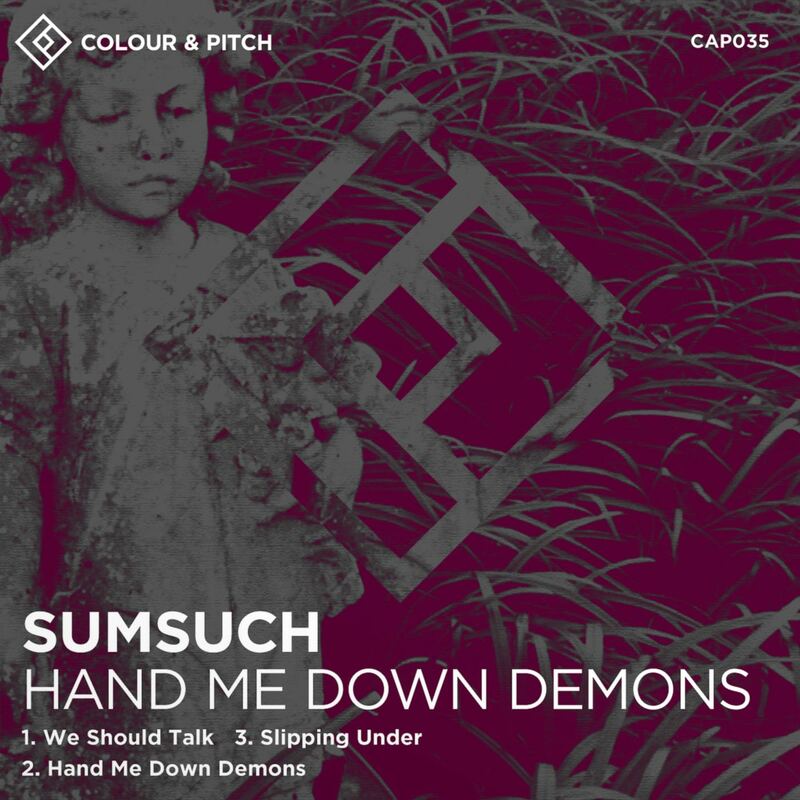 Colour and Pitch founder and BBE recording artist Sumsuch returns to his own label with brand new solo EP ‘Hand Me Down Demons'. Exploring the power held by ghosts from the past to damage or even destroy our relationships if we let them, ‘Hand Me Down Demons' is split into three distinct movements. Originating as an improvised piano piece, ‘We Should Talk' quickly evolved into a subtle, warm deep house instrumental, with analogue drums and bass providing a bed for plaintive, heartfelt melodies. 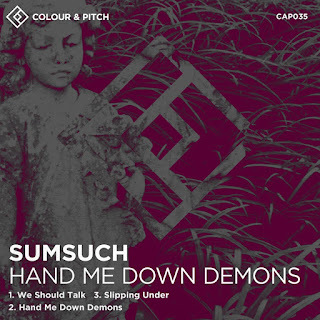 Title track ‘Hand Me Down Demons' has a grittier character, with a heavily tweaked acid bass-led groove and eerie vocal harmonies creating a dense, late-night club atmosphere. ‘Slipping Under' closes the EP with a simple classical piano composition set over swirling synth atmospheres and distant seagull cries, symbolizing that final, teary-eyed ending. Music-making at its most cathartic, we hope you enjoy this resonant journey from joy to melancholy in the company of some Hand Me Down Demons we've probably all met before.